My lovely friend Anita van Hal is so excited about the month of journaling on the Attitude of Gratitude Journal Challenge blog that she designed some art journaling pages especially for it. The pages come as PDFs or as jpegs. There is a link posted on tomorrow's post on An Attitude of Gratitude where you can download the PDFs for free. I was given the jpegs to use and I put them into Publisher and made them into A6 size. You can fit two cards to an A4 page. Anita designed 6 floral designs with quotes on and 6 abstract designs. 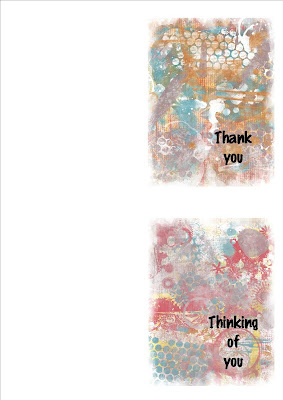 With the abstract designs I put 'Thank you' or 'Thinking of you' over the top. I printed them onto card, cut them in half and then folded each card. And here are the cards I've made. You could use the pages as the basis of your gratitude journal. Or print the pages off and cut them up to use on your journal page. I hope you will find our giveaway useful. If you haven't tried using digital images now is your time to try. Don't forget to come back on Thursday for the start of the Attitude of Gratitude Journal challenge. I'm really looking forward to seeing what your journals look like. This is my last post from Finding Your Eye: Starting the Journey. After looking through the photographs I have taken over the last 2-3 months I put those that caught my eye into one folder to create an Inspiration File. You can see mine on Flickr. After looking at them for a while I decided I would make copies in black & white to see if that helped me look at the photographs in a different way. The photographs I chose were all from different walks we've taken during the last 2 or 3 months plus some from a wool museum I visited. As I walk along I take photos somewhat haphazardly. Some record the place where we are walking and some are things that catch my eye. Roger is very patient as I keep stopping to take photographs. His idea of walking is to walk for a while (maybe an hour) and then have a sit down, and then continue. However I don't like having a sit down as I'm always concerned I might never get going again! Especially towards the end of a long walk when I'm wondering whether it's possible for Roger to get the car to where I am. Usually not! So, after that little detour! As I said I randomly chose the images that caught my eye and put them into a folder. For each photograph I jotted down words that described the image and found that there was a regular pattern. I have always taken photographs of flowers and buildings really closeup. I love to take the bigger picture and then focus on the detail. This was my best closeup to date but was a sheer fluke because the sun was shining and I couldn't tell whether I had caught the insect or not! I love the contrast of colour and the sharpness of the foreground with the blur in the background. Monotone is described as the sameness in colour or in tone. In these next three photographs there is also pattern, line and texture. When I looked at them both as black and white images I was interested to find that the photographs did not appeal to me as much. It's the little hints of colour in each photograph that gives interest. The minor accent of green adds to the texture and pattern. I also like the juxtaposition of nature (the moss) and the mechanical. It's a shame I didn't spend more time taking more closeups at the time of the rust on the upright. This photograph of a loom is a prime example of pattern and line. I like the contrast between the softness of the wool and the hardness of the machinery. Turning the image around for me doesn't just produce a different view but changes the focus of the image. Light is always important in photography but in this photograph I love how there are highlights on the berries. This is another of those fluke photos because you never know how long a butterfly is going to settle. Usually by the time I've got the focus right they've flown away. I love that the wings are still obvious despite the similarity of colour to the background. 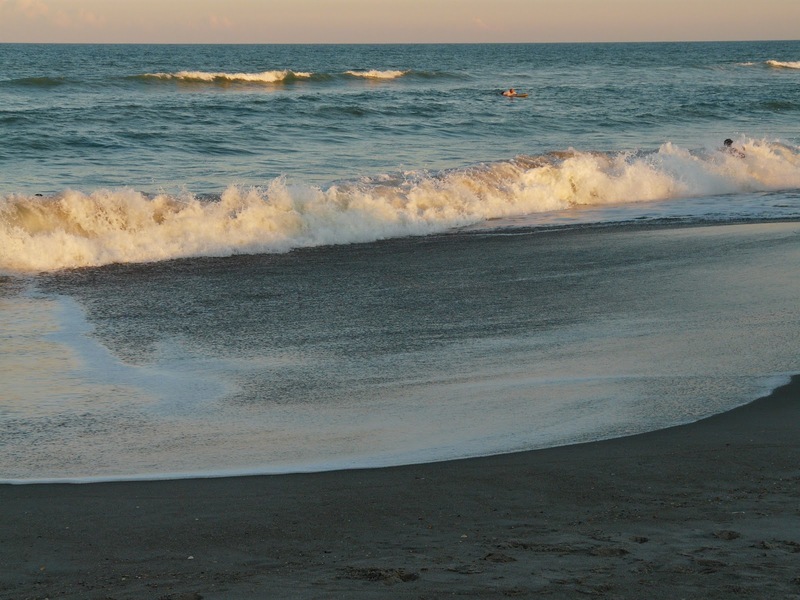 Have a look at the header of my blog. What do you see? Duck egg blue and sand, pattern, line and texture. I think Shimelle was spot on with her design. I'm really looking forward to starting the next stage of my journey of recognition with Kat starting on November 4th. When I was 6 years old, my mother was my middle infant class teacher. (Now called Year 1). I remember that we often acted out The King's Breakfast by A.A. Milne. And I also remember learning October's Party by George Cooper off by heart. Today we went a walk along the Droitwich Canal amidst some beautiful Autumn colour and the poem came to mind. Admittedly I could only remember the first two lines but that's not bad after 57 years! So as I was walking along I decided to take Autumn colour photos and write a blog post using the poem as a basis. As you know throughout November on An Attitude of Gratitude Journal blog there's a daily post with prompts and inspiration for building up a Gratitude Journal. On this blog, Newly Creative, I will be showing how I made my pages based on the daily blog posts. And to start: the Journal. I have many store bought sketchbooks and a new Dylusions Journal but for this I decided I would make my own. I gathered together watercolour paper, manila card, tore some cartridge paper out of a sketchbook, and looked through my scrapbooking stash and found a piece of Kraft cardstock, a piece of Tim Holtz Kraft Resist and a piece of black Bazzill. I don't know whether the black will actually make it to the journal, but I have plenty of stash to replace it. I also pulled out 2 A3 sheets of cartridge paper. I cut all the paper down to 10" by 7.5"
You may have noticed that there's something wrong with my maths in the photo above. 1+2+4+4+1+1=13 not 15! I added another 2 sheets of watercolour paper! The very large sheets of paper are very important if you are going to use my method to make a journal. It can be watercolour paper or lining paper. You could use the brown paper for parcels using it with the shiny side down. But don't use very thin, absorbent paper as it won't cope with what you will be using it for. I also found a piece of cotton muslin to use as a paint rag. I borrowed this idea from Roben-Marie Smith who uses a muslin cloth to mop up paint and ink as she goes along. At the end you have a piece of cloth that matches your projectand you can use as fabric pieces, make into your cover or tear up as pieces of 'ribbon'. I got the idea of using the large sheets of paper from her too. I have decided that my pages will each have the Bible verse that's provided for each day. So I put all the verses into a document and printed them off on Prima paper. I'll provide a PDF for all the Bible verses and a PDF for all the quotes next week for you to download. I haven't made the covers yet. I'm going to do that at the end. You will need to pieces of greyboard or the cardboard from the back of sketchpads cut to 10.25" by 7.75" if you want to get them ready. I shall be punching holes in mine to put book rings but if you have access to a Bind-It-All you could use that. Looking forward to sharing my pages with you from Thursday November 1st. This is my last Thankful Thursday post for a while. Next Thursday is 1st November and the Attitude of Gratitude Journal Challenge will start. Join in every day for the month of November. Photograph found on the internet. Today's blog post is a recap of everything to do with the challenge. It's still not too late to decide to join in the fun. Come back tomorrow to find out about my Gratitude Journal. Are you a follower yet at An Attitude of Gratitude Challenge Blog? 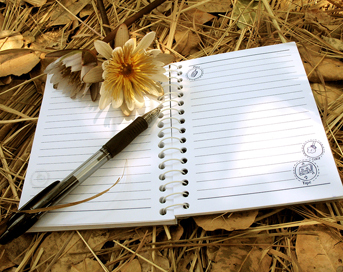 Have you decided whether you are going to make a Gratitude Journal? Of course you can read along through the month of November and not make a journal but it would be great if you joined in. Go over to the Challenge Blog today to find out about some Happy Mail. One of the reasons why I am galloping through my photgraphic history is that a while ago I was so fed up with my art that I was thinking of throwing everything away or at the very least giving all the stash and art media away. And finding another less messy hobby. Over the years I have had many other hobbies - I learned to play the flute for a while, I did 4 years of Creative Embroidery, I slightly flirted with Patchwork and Quilting. Actually that mostly involved buying fat quarters and stroking them, rather than actually making anything. I think there were other things - oh yes - quilling, scrapbooking, and I expect other things will come to mind. But as each of these interests has come and gone, photography has remained as a constant. I may not have taken photographs every week but the camera was always available. it released me to take thousands of photographs. In fact the last photograph I took was numbered 1,170,314 and that doesn't include the compact camera or the camera on my phone! It's no wonder my hard drive keeps filling up! So what is it that draws me to photography. But if you had the time (and the patience) to trawl through my 1 million plus images what would you find? Actually, not many photographs of people. There are photographs of Andy growing up. And of his wedding to Naomi. There are a few sets of church events and a record of my parents 60th Wedding Anniversary party. But really I don't take photographs of people. Unless when we are on holiday people walk into the photo I'm taking or spend too long in the way of what I want to take and because I'm impatient I have to include them. There are lots of photographs of nature - flowers, grasses, trees. And a great many landscapes. There are quite a lot of photos of my art work so that I can upload the work to Flickr groups or to my blog. There are lots of pictures of buildings and parts of buildings. Like a close up of some bricks! Or chimneys or part of a door. Some of these were taken when I was doing the Creative Embroidery course and needed images of pattern or texture to inspire or inform the embroidery. And then there are the ones where I took a totally different view of something than from the usually viewpoint like the Sydney Opera House roof but from inside the building. Or the quirky. A totally relaxed gorilla! Or patterns in the street. With a bit of added quirkiness! 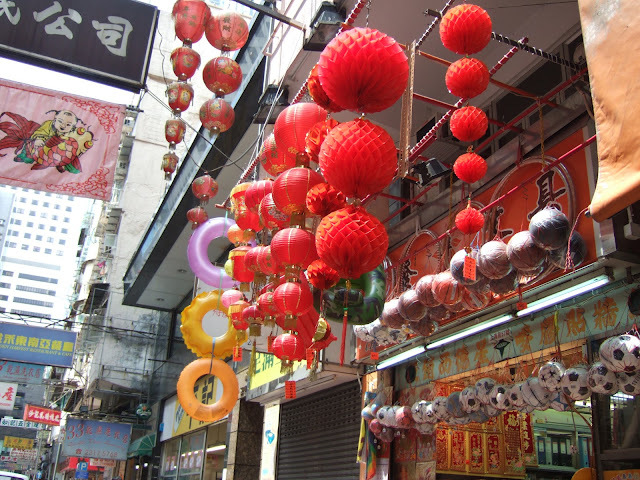 I loved the plastic swimming rings against the paper balls. And then there's light. Early (or early-ish) morning light and as with the photo below, late afternoon light. And yet I don't really think I've answered the question of why I have kept coming back to photography and why I spend so much time on it. I guess I'm still trying to get that elusive photograph that really speaks to me. I don't go out on photography field trips much. I go out for a walk or a visit and take my camera with me and along the way I take photographs for all the reasons outlined above. And occasionally I come up with something that I really love. I took this photo last week and I love it. But it was just a fleeting moment. I didn't go out to take this photo. It was just there. And I took the opportunity. It's a mix of colour, pattern, shapes and texture that I like. And yes it does have people in it. But this time it was deliberate as it needed something to give it a sense of proportion. So why photography? Because I love it. Because it can be many things. Just because! Oh and I mentioned the million plus thing to Roger and he wonders whether the first photo I took on the camera was actually numbered 00001! I was given a Brownie 127 when I was a child. And although I remember the camera I don't remember taking any photographs with it. Nor can I find any evidence of my introduction to photography. My parents have moved 3 times since I left home and I'm pretty sure any photos have been lost over that time. 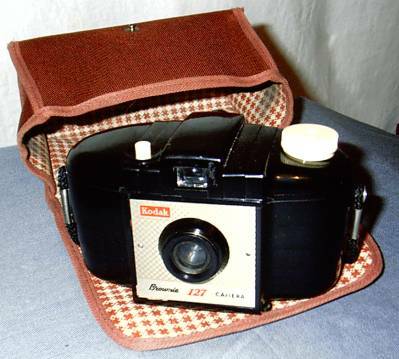 Then I'm pretty sure I had a 110 film camera. 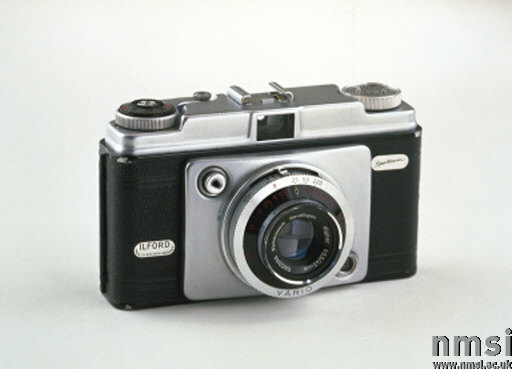 At some point my Dad had an Ilford camera which I borrowed when I went on a school cruise in the 6th form. That sounds posh! It was a schools' ship cruise with dormitories and lights out at 9.30pm. Oh and Captain's inspection every morning to make sure we were tidy. Other times I think I used some of those throwaway cameras. I did the thing you should never do. I bought the camera about a week before I went on holiday to Italy. My grandmother had left me some money and it just bought me the camera. I knew there would be great views and architecture in Italy which I would want to photograph so I rushed out and bought the camera. Fortunately for me I came back with some fairly decent images. However it did occur to me (eventually) that perhaps it would be a good thing to learn something about using an SLR more competently, especially as I was beginning to acquire lots of different lenses. I went to the local college and did several courses. Each course was on a separate theme: black & white photography, portrait photography, landscape photography, dark room technique and still life. At the same time I belonged to the local male dominated Photography Club and occasionally managed a commended in the monthly photographic competition. Fortunately the guys weren't total misogynists and one or two were really helpful especially when I decided to apply to be a member of the Royal Photographic Society. One even lent me his darkroom so I could print the required 20" x 16" size. Sadly I haven't looked after this photo very well over the intervening 20 years as you can see by the large scratch in it and I've lost 2 of the other submission photographs because I entered them in a competition and didn't ever get them back. Anyway I succeeded in getting into the RPS and I carried on taking photographs. All the while of course paying for them to be printed. I remember one of the guys saying he thought he might get one good photograph out of every spool of 36 he took. An expensive hobby! I have about 25 photograph albums and about 10,000 prints stored in boxes. And sadly those 'state of the art' albums with the peel back transparent sheets were totally the wrong thing to store your photos in, so now I have some very poor images some of which are almost completely pink. But fortunately both for storage purposes and my bank balance, I discovered digital. You will have noticed that I still haven't answered the original question, why photography? And I will get to it but I think this is post is long enough so come back later for part 2.